Montford was the first anchor for STV's flagship sports programme for 32 years. 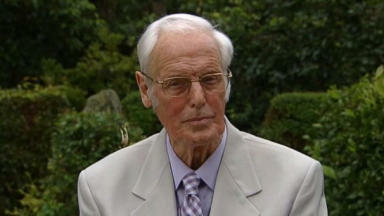 Scottish sports broadcaster Arthur Montford has died, sources close to his family have confirmed. Montford, who was 85, worked in print and radio journalism and was the first anchor for STV's Scotsport when it launched as Sports Desk in 1957. He stayed with the programme until his retirement in 1989, presenting more than 2000 episodes. Montford was born in Greenock and served as a director of Greenock Morton as well as holding the position of rector at the University of Glasgow between 1974 and 1977. 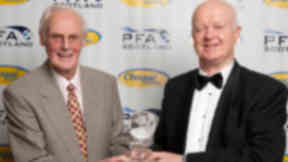 In May 2010, Montford received the Scottish Professional Footballers' Association Special Merit award for his services to football broadcasting and journalism. He was known for his chequered pattern sports jackets and catchphrases including "What a stramash", "What a goal from an impossible angle" and "Disaster for Scotland". An STV spokeswoman said: "Arthur Montford made an immense contribution to sporting life in Scotland and was an STV legend hosting over 2000 episodes of Scotsport over three decades. "We would like to offer our condolences to his family at this sad time."